Things have been quiet on the blog lately. That’s largely because I’ve been putting my focus into learning, growing, and making my detailed budget. I sat down on Thursday night and for the first time in my life, made an actual budget for myself. I have to admit, it was agonizing and tedious. There is not much fun in actually seeing your money evaporate. Especially when you reflect on what you’ve been spending it on. Last night I also spoke with a financial advisor for the first time in life. I’m a modestly accomplished, well educated woman, but I felt like an idiot. I didn’t even know what tax bracket I fall in. Yeah. And Try telling that to someone who haphazardly spent 10k on Apple Stock last month. Luckily this financial advisor is eager, non-judgmental, understanding and patient. Despite my interest in the stock market, we decided that Mutual Funds will be the way to go based on my current financial situation. A shout out to my dear friend Akin for connecting us. Which leads to my Wednesday adventure. On Wednesday I took a trip to a magical magical place. I haven’t been to a library since 2006. Since one of the items I eliminated from my spending was books, I will be utilizing the library more often to check out books on my fleeting interests. 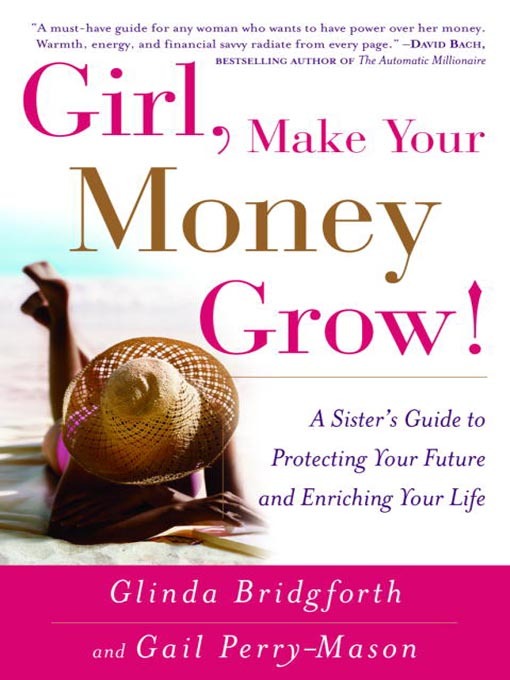 I also checked out my current read, Girl Make your Money Grow. I’m only on the first chapter but a book review will soon come.So far so good though. If you’d like to read it along with me, you can find it at your public library, and or purchase it on your Kindle. Look for updates on my debt management/ investment strategy soon. And go get familiar with your library.